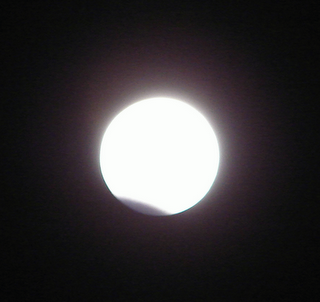 The New Year 2010 had just started with a partial Lunar Eclipse. Eclipses have always been viewed with concerns and many a myth is related to it. In Japan, some people still cover wells to avoid being poisoned by the disease of the moon during an eclipse. Native residents of Arctic regions are known to turn over their utensils to avoid contamination. In other cultures, people yell at the moon during an eclipse, or they bang pots or even shoot into the air. And having lunar eclipse right minutes after the New Year eve shudders me. May be it is a Divine warning or an indicator of something. I hope and pray it to be a positive indicator – an indicator of good days ahead, God willing for every one of us, who have seen some very bad days in 2009. We really need peace and love for we have had enough of bad days. There's only one valid point in this article, and if people are too stupid to see it, I won't tell them what it is. I'm not sure I agree with you on some key points. Do you allow guest blog posts? I'd love to write on this topic. Error 763 - Hard disk not ready, close door.